You know this thing about Phineas and Ferb games? Cute-games.com has a new category of games named Phineas and Ferb games where you`ll meet the characters from the series with the same name and along with them you`ll go through amazing challenges. In Phineas and Ferb games you can find 45 games that we've published for these kids and childrens that are interested to play Phineas and Ferb games, this game gategory have been created on 06.04.2016. 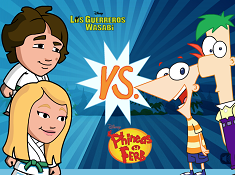 These games with Phineas and Ferb have been voted 1 times and the avarage of vote is 5.00 stars. We advice you to play the last flash game from Phineas and Ferb games, Tiny Nation that have been published on 18.07.2017 05:00. Tiny Nation its a part of Phineas and Ferb games category and until now its played 842 times. Try it now on Cute-Games.com! If your like the Tiny Nation game you can write a comment in the game page. Recommend this game to your friends if you like it! 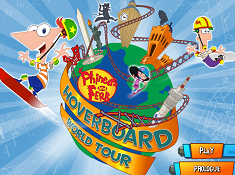 Hoverboard World Tour its a part of Phineas and Ferb games category and until now its played 1020 times. Try it now on Cute-Games.com! If your like the Hoverboard World Tour game you can write a comment in the game page. Recommend this game to your friends if you like it! 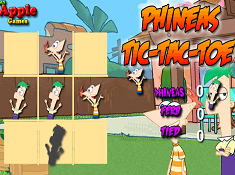 Phineas Tic-Tac-Toe its a part of Phineas and Ferb games category and until now its played 706 times. Try it now on Cute-Games.com! If your like the Phineas Tic-Tac-Toe game you can write a comment in the game page. Recommend this game to your friends if you like it! Perry Coloring its a part of Phineas and Ferb games category and until now its played 855 times. Try it now on Cute-Games.com! If your like the Perry Coloring game you can write a comment in the game page. Recommend this game to your friends if you like it! Perry Widgets its a part of Phineas and Ferb games category and until now its played 910 times. Try it now on Cute-Games.com! If your like the Perry Widgets game you can write a comment in the game page. Recommend this game to your friends if you like it! Phineas and Ferb Magnetic Voyage its a part of Phineas and Ferb games category and until now its played 1016 times. Try it now on Cute-Games.com! 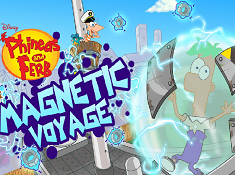 If your like the Phineas and Ferb Magnetic Voyage game you can write a comment in the game page. Recommend this game to your friends if you like it! 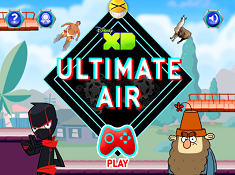 Disney XD Ultimate Air its a part of Disney Games category and until now its played 1118 times. Try it now on Cute-Games.com! If your like the Disney XD Ultimate Air game you can write a comment in the game page. Recommend this game to your friends if you like it! 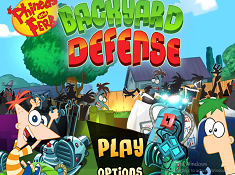 Phineas and Ferb Backyard Defense its a part of Phineas and Ferb games category and until now its played 911 times. Try it now on Cute-Games.com! If your like the Phineas and Ferb Backyard Defense game you can write a comment in the game page. Recommend this game to your friends if you like it! Disney Snowball Fight its a part of Kickin It Games category and until now its played 1792 times. Try it now on Cute-Games.com! If your like the Disney Snowball Fight game you can write a comment in the game page. Recommend this game to your friends if you like it! Phineas and Ferb Spot the Diff its a part of Phineas and Ferb games category and until now its played 1308 times. Try it now on Cute-Games.com! If your like the Phineas and Ferb Spot the Diff game you can write a comment in the game page. Recommend this game to your friends if you like it! Phineas Ferb Colours Memory its a part of Phineas and Ferb games category and until now its played 893 times. Try it now on Cute-Games.com! If your like the Phineas Ferb Colours Memory game you can write a comment in the game page. Recommend this game to your friends if you like it! 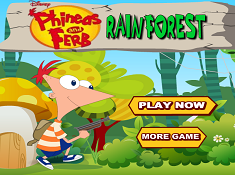 Phineas and Ferb Rainforest its a part of Phineas and Ferb games category and until now its played 929 times. Try it now on Cute-Games.com! If your like the Phineas and Ferb Rainforest game you can write a comment in the game page. Recommend this game to your friends if you like it! Ferb Coloring its a part of Phineas and Ferb games category and until now its played 835 times. Try it now on Cute-Games.com! 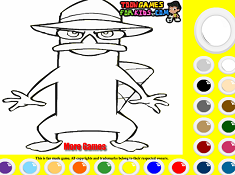 If your like the Ferb Coloring game you can write a comment in the game page. Recommend this game to your friends if you like it! 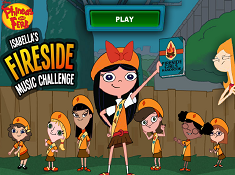 Isabellas Fireside Music Challenge its a part of Phineas and Ferb games category and until now its played 1514 times. Try it now on Cute-Games.com! If your like the Isabellas Fireside Music Challenge game you can write a comment in the game page. Recommend this game to your friends if you like it! 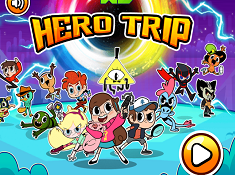 Phineas and Ferb The Dimension of Doom its a part of Phineas and Ferb games category and until now its played 2980 times. Try it now on Cute-Games.com! If your like the Phineas and Ferb The Dimension of Doom game you can write a comment in the game page. Recommend this game to your friends if you like it! 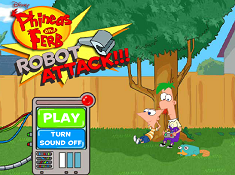 Phineas and Ferb Robot Attack its a part of Phineas and Ferb games category and until now its played 1553 times. Try it now on Cute-Games.com! If your like the Phineas and Ferb Robot Attack game you can write a comment in the game page. Recommend this game to your friends if you like it! Down Perry Scope its a part of Phineas and Ferb games category and until now its played 719 times. Try it now on Cute-Games.com! If your like the Down Perry Scope game you can write a comment in the game page. Recommend this game to your friends if you like it! Phineas and Ferb Sno Problem its a part of Phineas and Ferb games category and until now its played 2406 times. Try it now on Cute-Games.com! If your like the Phineas and Ferb Sno Problem game you can write a comment in the game page. Recommend this game to your friends if you like it! 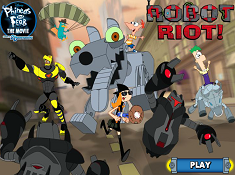 Phineas and Ferb Robot Riot its a part of Phineas and Ferb games category and until now its played 1038 times. Try it now on Cute-Games.com! If your like the Phineas and Ferb Robot Riot game you can write a comment in the game page. Recommend this game to your friends if you like it! 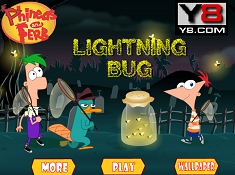 Phineas and Ferb Lightning Bug its a part of Phineas and Ferb games category and until now its played 807 times. Try it now on Cute-Games.com! If your like the Phineas and Ferb Lightning Bug game you can write a comment in the game page. Recommend this game to your friends if you like it! Phineas and Ferb Bubble its a part of Phineas and Ferb games category and until now its played 886 times. Try it now on Cute-Games.com! 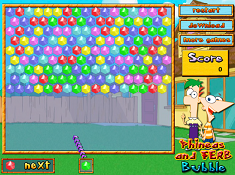 If your like the Phineas and Ferb Bubble game you can write a comment in the game page. Recommend this game to your friends if you like it! 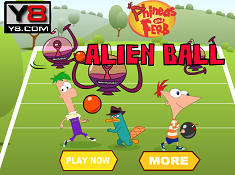 Phineas and Ferb Alien Ball its a part of Phineas and Ferb games category and until now its played 768 times. Try it now on Cute-Games.com! If your like the Phineas and Ferb Alien Ball game you can write a comment in the game page. Recommend this game to your friends if you like it! Agent P Coloring its a part of Phineas and Ferb games category and until now its played 815 times. Try it now on Cute-Games.com! If your like the Agent P Coloring game you can write a comment in the game page. Recommend this game to your friends if you like it! Phineas and Ferb Hidden Numbers its a part of Phineas and Ferb games category and until now its played 967 times. Try it now on Cute-Games.com! If your like the Phineas and Ferb Hidden Numbers game you can write a comment in the game page. Recommend this game to your friends if you like it! 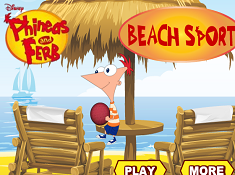 Phineas and Ferb Beach Sport its a part of Phineas and Ferb games category and until now its played 913 times. Try it now on Cute-Games.com! 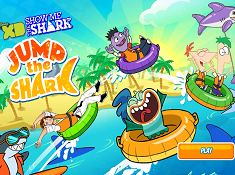 If your like the Phineas and Ferb Beach Sport game you can write a comment in the game page. Recommend this game to your friends if you like it! 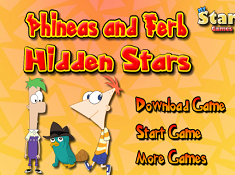 Phineas and Ferb Hidden Stars its a part of Phineas and Ferb games category and until now its played 762 times. Try it now on Cute-Games.com! If your like the Phineas and Ferb Hidden Stars game you can write a comment in the game page. Recommend this game to your friends if you like it! 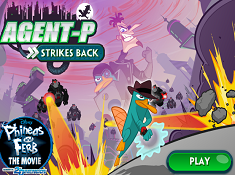 Agent P Strikes Back its a part of Phineas and Ferb games category and until now its played 997 times. Try it now on Cute-Games.com! If your like the Agent P Strikes Back game you can write a comment in the game page. Recommend this game to your friends if you like it! 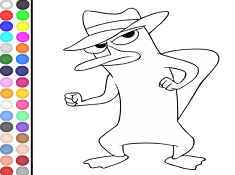 Agent P Return Of The Platypus its a part of Phineas and Ferb games category and until now its played 1536 times. Try it now on Cute-Games.com! 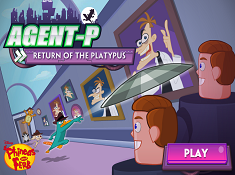 If your like the Agent P Return Of The Platypus game you can write a comment in the game page. Recommend this game to your friends if you like it! 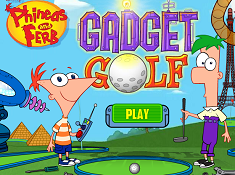 Phineas and Ferb Gadget Golf its a part of Phineas and Ferb games category and until now its played 1937 times. Try it now on Cute-Games.com! If your like the Phineas and Ferb Gadget Golf game you can write a comment in the game page. Recommend this game to your friends if you like it! 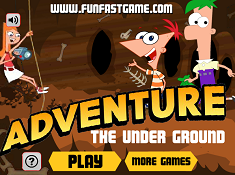 The Under Ground Adventure its a part of Phineas and Ferb games category and until now its played 897 times. Try it now on Cute-Games.com! If your like the The Under Ground Adventure game you can write a comment in the game page. Recommend this game to your friends if you like it! Phineas and Ferb Shoot The Alien its a part of Phineas and Ferb games category and until now its played 816 times. Try it now on Cute-Games.com! 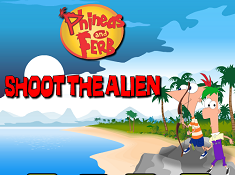 If your like the Phineas and Ferb Shoot The Alien game you can write a comment in the game page. Recommend this game to your friends if you like it! 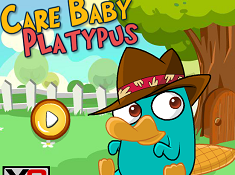 Care Baby Platypus its a part of Phineas and Ferb games category and until now its played 1000 times. Try it now on Cute-Games.com! If your like the Care Baby Platypus game you can write a comment in the game page. Recommend this game to your friends if you like it! 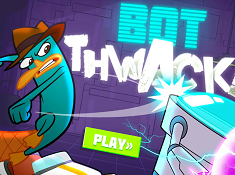 Bot Thwack its a part of Phineas and Ferb games category and until now its played 988 times. Try it now on Cute-Games.com! If your like the Bot Thwack game you can write a comment in the game page. Recommend this game to your friends if you like it! 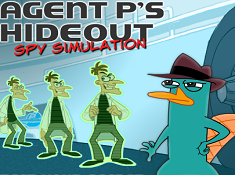 Agent Ps Hideout Spy Simulation its a part of Phineas and Ferb games category and until now its played 991 times. Try it now on Cute-Games.com! If your like the Agent Ps Hideout Spy Simulation game you can write a comment in the game page. Recommend this game to your friends if you like it! 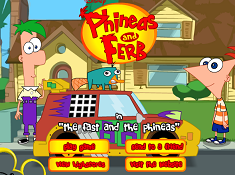 The Fast And The Phineas its a part of Phineas and Ferb games category and until now its played 1225 times. Try it now on Cute-Games.com! 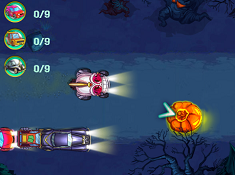 If your like the The Fast And The Phineas game you can write a comment in the game page. Recommend this game to your friends if you like it! 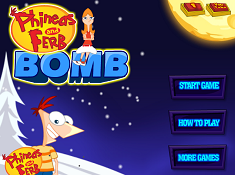 Phineas and Ferb Bomb its a part of Phineas and Ferb games category and until now its played 1066 times. Try it now on Cute-Games.com! 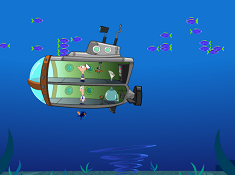 If your like the Phineas and Ferb Bomb game you can write a comment in the game page. Recommend this game to your friends if you like it! Phineas and Ferb Replay Rush its a part of Phineas and Ferb games category and until now its played 895 times. Try it now on Cute-Games.com! 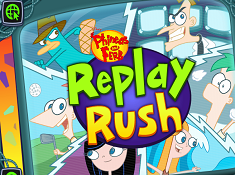 If your like the Phineas and Ferb Replay Rush game you can write a comment in the game page. Recommend this game to your friends if you like it! Phineas and Ferb Coloring its a part of Phineas and Ferb games category and until now its played 819 times. Try it now on Cute-Games.com! 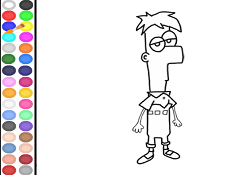 If your like the Phineas and Ferb Coloring game you can write a comment in the game page. Recommend this game to your friends if you like it! 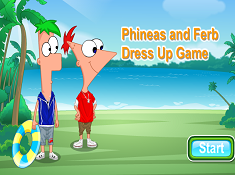 Phineas and Ferb Dress Up its a part of Phineas and Ferb games category and until now its played 859 times. Try it now on Cute-Games.com! 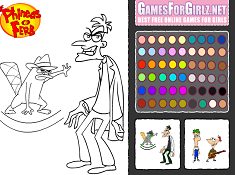 If your like the Phineas and Ferb Dress Up game you can write a comment in the game page. Recommend this game to your friends if you like it! Jump The Shark its a part of Disney Games category and until now its played 1036 times. Try it now on Cute-Games.com! If your like the Jump The Shark game you can write a comment in the game page. Recommend this game to your friends if you like it! 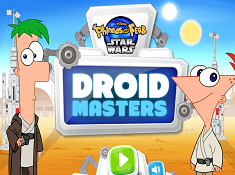 Phineas and Ferb Droid Master its a part of Phineas and Ferb games category and until now its played 919 times. Try it now on Cute-Games.com! If your like the Phineas and Ferb Droid Master game you can write a comment in the game page. Recommend this game to your friends if you like it! 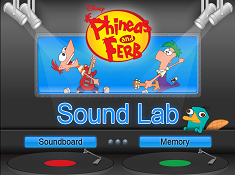 Phineas and Ferb Sound Lab its a part of Phineas and Ferb games category and until now its played 1699 times. Try it now on Cute-Games.com! 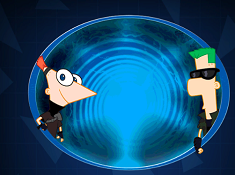 If your like the Phineas and Ferb Sound Lab game you can write a comment in the game page. Recommend this game to your friends if you like it! Phineas and Ferb Zombies Doof its a part of Phineas and Ferb games category and until now its played 1163 times. Try it now on Cute-Games.com! 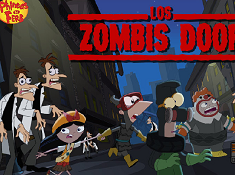 If your like the Phineas and Ferb Zombies Doof game you can write a comment in the game page. Recommend this game to your friends if you like it! Find More About Phineas and Ferb games! 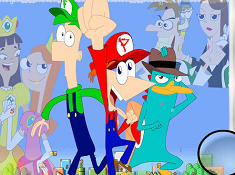 Phineas and Ferb is another Disney series produced by Disney for the childrens from all around the world and it has a great success because the characters and the story that it has so, cute-games.com decided to bring the story on our site. As you know, Phineas and Ferb are brothers and they were borred in each summer vacation until one day, when they started to make what they know better. The two boys from Danville are very intelligent and creative reason for why, they always invents a lot of amazing things but, they also have to take care of their sister because she goes and tells everything to her mother. Phineas Flynn, one of the main characters is the one who loves distractions so, he is the one with the ideas to cheer the summer days and along with his brother is creating the greatest distractions ever. Ferb Fletcher, is Phineas`s stepbrother who apply the ideas and make of them reality so, the two offsets eachother and together they have the greatest summer vacations. Another character is Perry, he is Phineas and Ferb`s pet, a duck-bill who works for a secret agency to stop the evil that Dr. Doofus made but, the two brothers doesn`t know that Perry is a secret agent. Candace Flynn is Phineas and Ferb`s sister who is always trying to ruin the plans that boys makes so, they have to fight and to find a solution to make her shut-up and also, they are always trying to hide from her everything. Another character is Dr. Heinz Doofenshmirtz also known as Dr. Doofus or Doof, he is a scientific doctor who wants to have the power to control the world reason for why, he is always making evil plans but, thanks to Perry he never succeed to fulfill them. Isabella Garcia Shapiro is a friend of Phineas and Ferb who spend a lot of time with them because she is in love with Phineas and she always tryies to capture his attention by helping them with their ideas and plans to have a great summer. Linda Flynn is Phineas and Candace`s mother and Ferb`s step mother, she was a pop singer so, she is a modern women, always taking care of the chilldrens because she know that they always have some ideas. Lawrence Fletcher is Ferb`s father and Phineas and Candace`s stepfather, he is an archaeologist from England reason for why he and Ferb are having a british accent. Another character is Vanessa Doofenshmirtz, she is Dr. Doofus`s daughter who knows about her father plans and she is always trying to warn her mother but she doesn`t listen to Vanessa. Other characters are Jeremy Johnson who is Candace`s boyfriend and Stacey Hirano, Candace`s best friend who always said that she will help Candace to find out what plans had Phineas and Ferb but in the end she enjoys their ideas and she ends to help them. Another character that you will see in the series is Francis Monogram, the mayor who gives to Perry instructions about how to stop Dr. Doofus and he communicate with Perry between a monitor that he had in his office. Now, that you know what is about in this story you are ready to play our Phineas and Ferb games where, you`ll be able to be part of the story and also, you`ll have to help them with their great plans. Cute-games.com tries to bring for you the most wonderful games that we find because we wnat you to feel great when you play our games but, you`ll have to play them all because each of them is different. If you liked the series and the characters now it`s a chance for you to know them better by spending more time with them and to have a lot of fun. We hope that you enjoy our online Phineas and Ferb games and also, if you want other games that we haven`t publish yet, you can tell us what games do you want and we will publish them for you. Also, you`ll have to stay tuned on our site to be able to see what many other surprises and games we had prepared for you so, play as many games as you want and wait for ous to come back with many other beautiful challenges. Like always, our free Phineas and Ferb games are for everyone so, you can play it even if you are a boy, a girl or a kid.